4. Always inform the shipping status promptly 5. Always offer new styles & hot styles to regular customer 6. Rich experiences in doing business with a lot of big companies in European, Africa, the Middle East, and US markets. 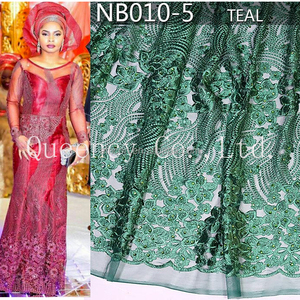 If you have any interest in our products new design african french lace tear green lace teal fabric,please feel free to contact us. 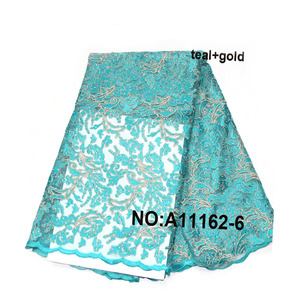 Contact us today and establish mutual business, and we will response to you within 24 hours. .
Alibaba.com offers 5,043 teal lace fabric products. About 84% of these are lace, 5% are embroidered fabric, and 1% are knitted fabric. 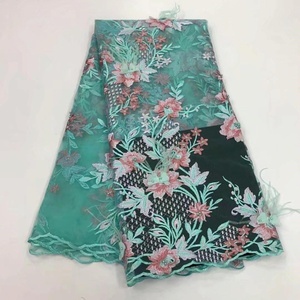 A wide variety of teal lace fabric options are available to you, such as eco-friendly, water soluble, and elastic. You can also choose from 100% polyester, 100% cotton, and polyester / cotton. As well as from embroidered, knitted, and jacquard. 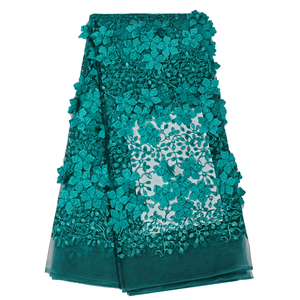 And whether teal lace fabric is mesh, voile, or organza. 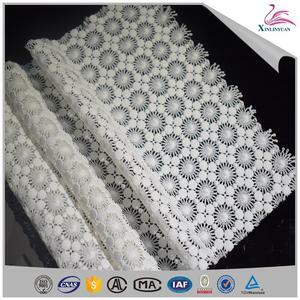 There are 4,964 teal lace fabric suppliers, mainly located in Asia. The top supplying countries are China (Mainland), India, and Pakistan, which supply 99%, 1%, and 1% of teal lace fabric respectively. 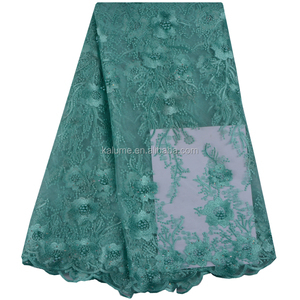 Teal lace fabric products are most popular in North America, Western Europe, and Africa. You can ensure product safety by selecting from certified suppliers, including 708 with Other, 640 with TL9000, and 14 with ISO9001 certification.